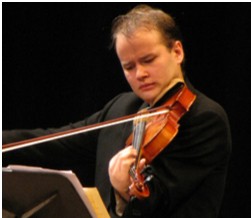 Classical music alerts: Hear the finals today of the Primrose International Viola Competition, with two Madison-trained players; also hear today Gustavo Dudamel and the Los Angeles Philharmonic in Brahms; and the Green Lake Music Festival at Ripon College opens this week. I have three items to pass along today. 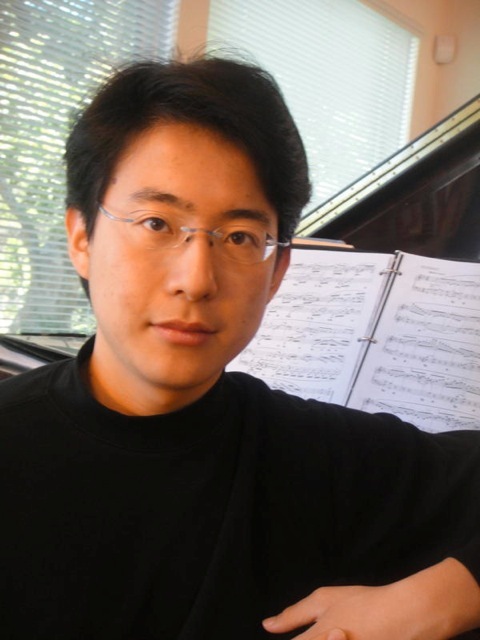 One is the William Primrose International Viola Competition; the second is the live simulcast performance today by the Los AngelesPhilharmonic and Gustavo Dudamel; and the third concerns the opening this week of this summer’s Green Lake Festival. 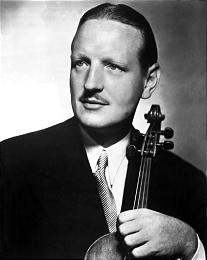 Thanks to a good friend of this blog, The Ear knows that today’s finals of the 13th annual William Primrose International Viola Competition — named for the famed violist (below) — will be held and streamed live today, Sunday, June 5, from Albuquerque, New Mexico. It runs from 10:30 in the morning to 9:30 at night, CDT. Elias Goldstein (below top), who received his doctorate in May and Vicki Powell (below bottom), who is from Madison and is currently studying at Juilliard, are competing. Click under schedule to see times, and then under links for stream in HD. 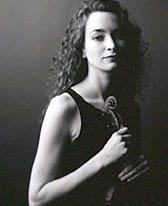 Both performers studied with UW-Madison professor Sally Chisholm, who plays in the Pro Arte String Quartet, and who is on a roll. 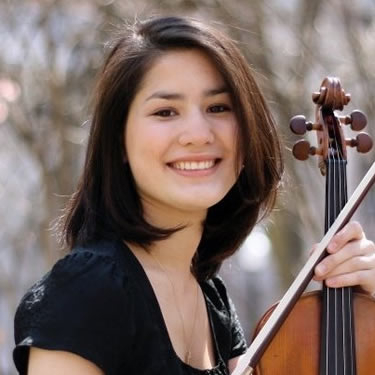 Another of her students, Daniel Kim, won Wisconsin Public Radio’s Neal Silva Young Artists Competition and will pursue his graduate studies this fall at Juilliard with the famous Samuel Rhodes, the founding violist with the Juilliard String Quartet who often performs in Madison with the Pro Arte. I also think that Internet streaming is one of the hi-tech blessings for classical music fans. Just last week, I streamed the semi-finals and finals of the Van Cliburn Competition for Outstanding Amateurs. And I think many other competitions, including the Gilmore piano competition and the Indianapolis Violin Competition, are streamed. If this keeps up, music competitions may eventually rival watching live sports matches – or so we can hope. Anyway, stay tuned and hope for the best for our local talent, and we’ll see how our Madison competitors do us proud. 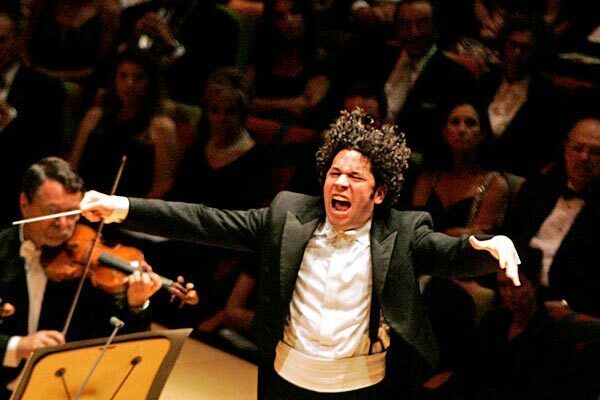 I offer a reminder: At 4 p.m. today, Sunday, June 5, the last of this season’s three live simulcast performances by the Los Angeles Philharmonic under its superstar conductor Gustavo Dudamel (below) will take place. The program is all-Brahms, with the Double Concerto for Violin and Cello, featuring the Capucon brothers, and the powerful Symphony No. 4. The host is John Lithgow. Tickets to the 2-1/2 hour program at the Eastgate and Point Cinemas are $16. 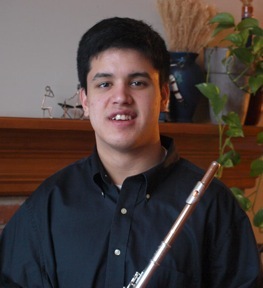 The Green Lake Festival of Music, which has taken place at scenic Ripon College every summer since 1979, will open its 2011 summer season this week. 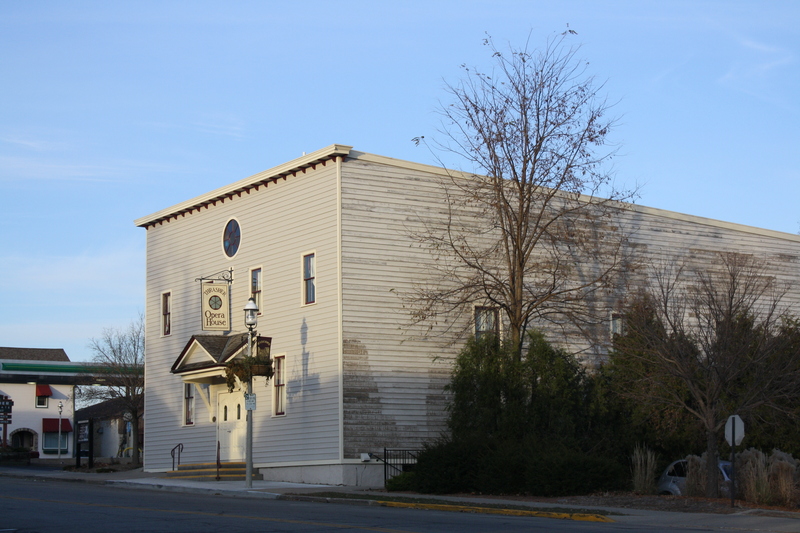 The festival starts with two concerts on Wednesday (a seniors concert at 1:30 p.m. at the Thrasher Opera House, below) and Friday (a season preview at 7:30 p.m. in the Thrasher Opera House). The first concert features violinist Samantha George (below top), and the second features young prize-winning pianist David Ko (below middle) in solo repertoire and with a young flutist (below bottom) Ryan Zerna. The festival runs through July 24.